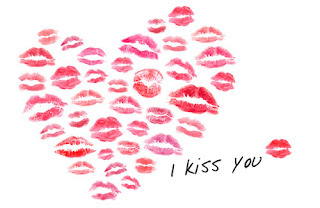 I am a big fan of kissing. Whether it means hello, goodbye, I love you, thank you, help me or anything else, I love it. I especially enjoy kissing the soft fur on the faces of my three labs. The girls, Ella Fitzgerald and Layla Grace will return my kiss with a sloppy lick on my cheek (when asked nicely). Reggie-boy is a different story. He tolerates an occasional smooch but he does not seem to be into public display of affection. Everyday, I ask Reggie for a kiss and he responds by running out the back door. Late last night, I woke up to find Ella licking my face. When I reached up to pet her, I found blood on my hand from two cuts on her face. I have no idea who or what hurt her. I washed her face and treated it with salve. While I was sitting with Ella, Reggie gave me a "thank you" drive-by bump on the side of the face. Amazing. To help us care for our kissable pups, Denise and the good folks at Tazlab are sponsoring a Sweet Dog GIVEAWAY! One lucky winner will win a container of their Joshua Tree Pet salve for your dog. 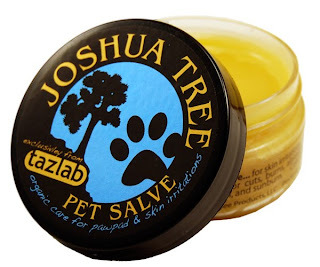 Tazlab's Joshua Tree Pet Salve is a blend of certified organic herbs and oils that protect and heal your dog's cracked or rough paws. One of the key differences between Joshua Tree Pet Salve and other compounds is made it is made without skin softeners so your pup's calluses stay intact. The salve is edible, so no need to worry about the dog licking their paws. Denise (Tazlab) highly recommends it use for dog owners especially to treat nicks, cuts and bug bites. Post a comment on this blog post telling us if your favorite item on the Tazlab website. (1 entry). It is very important that you include your email address so we can contact the winner. If you do not have a Google account, select anonymous. This contest has ended. 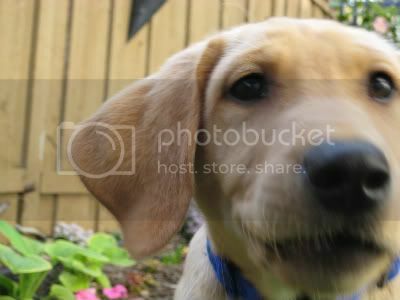 Congratulations to our Sweet Dog Giveaway winner, Trixpixel. Thanks to all of you who participated in the giveaway and support this blog. I really appreciate it! Check back for more great product reviews and giveaways.